Duke Energy Renewables, a commercial business unit of Duke Energy, today announced it will build, own and operate a 200-megawatt (MW) wind project – Mesteño – in Starr County, Texas. 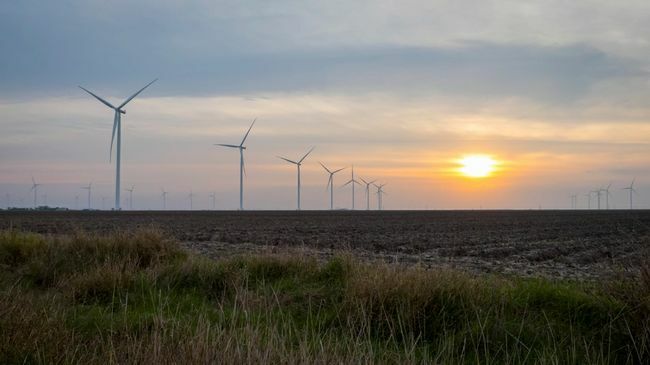 The project’s output will be sold into the ERCOT market and Duke Energy Renewables will enter into a long-term hedge agreement covering the majority of the expected wind energy production. The Mesteño Wind Project will be Duke Energy Renewables’ fourth wind generation facility in Starr County. The project has received strong local support from the Rio Grande City Consolidated Independent School district, Starr County, Starr County Hospital and South Texas College. Construction has begun and will be completed by the end of 2019. Once completed, Mesteño will contain turbines 590.5 feet tall – some of the tallest wind turbines in the United States. The tall tower turbines will harness stronger winds and increase wind energy production. This project increases Duke Energy Renewables’ U.S. wind capacity to more than 2,500 MW. During peak construction, the wind project will create approximately 200 jobs. It will also deliver more than $16 million in tax revenue over the first 10 years of its operation. Vestas supplied 56 3.6-MW tall tower turbines for the site. Amshore US Wind provided development support for the project, and Wanzek Construction is the contractor. Duke Energy is one of the nation’s top renewable energy providers – on track to own or purchase 8,000 megawatts of wind, solar and biomass energy by 2020. Duke Energy (NYSE: DUK), a Fortune 125 company headquartered in Charlotte, N.C., is one of the largest energy holding companies in the U.S. It employs 30,000 people and has an electric generating capacity of 51,000 megawatts through its regulated utilities, in addition to Duke Energy Renewables’ capacity. Duke Energy is transforming its customers’ experience, modernizing the energy grid, generating cleaner energy and expanding natural gas infrastructure to create a smarter energy future for the people and communities it serves. Duke Energy was named to Fortune’s 2019 “World’s Most Admired Companies” list, and Forbes’ 2018 “America’s Best Employers” list. More information about the company is available at duke-energy.com. The Duke Energy News Center contains news releases, fact sheets, photos, videos and other materials. Duke Energy’s illumination features stories about people, innovations, community topics and environmental issues.